Great to see Microsoft far away from the pack deep in to Gartner’s Magic Quadrant. Not far behind Amazon AWS which is really impressive. Gartner credits Microsoft for integrating infrastructure and platform as a service best and having better integration. 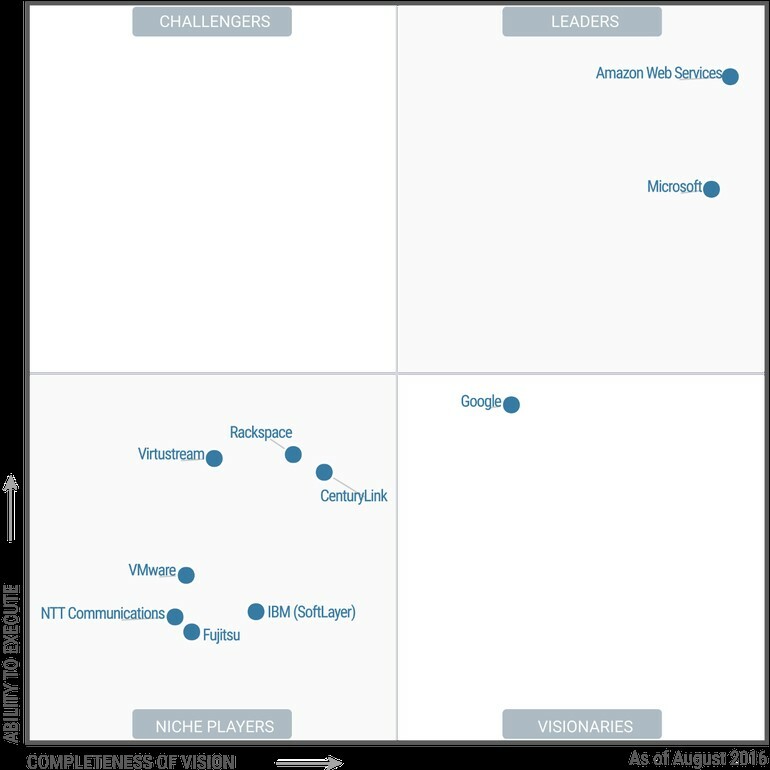 Gartner also gave Microsoft props for being more open and being a good enough option to AWS. The knocks against Microsoft Azure are documentation, support and an ongoing build out.